PayLane is an online payment gateway provider offering a fully customisable e-commerce solution compatible with most major shopping carts and web shops. While PayLane does not provide a traditional merchant account or support for face-to-face sales with card readers or point of sale terminals, the company provides an all-in-one solution for e-commerce merchants. As just one of numerous merchant account providers with the same or similar services, it’s a good idea for you to compare rates and prices and check to see what PayLane really offers in comparison to their competitors. What About Contracts and Termination? PayLane offers high security, a range of features, and strong solutions for business, but with rates as much as 1.1% higher than some competitors, it’s important that you check to see what you’re getting and if it makes sense for your business. So, how much does PayLane really charge? PayLane offers a single online payment gateway with extremely transparent pricing, including an Interchange + rate with PayLane’s fee on top. Flat rate pricing means that every business user is charged at the same rate, and you won’t be able to negotiate lower charges if you process more transactions. So, most cards will be charged at a flat rate of 2.8% + 20p. If this seems high, you’re right. Some of PayLane’s standard competitors like Stripe have rates starting from 1.4% + 20p for online transactions. Worldpay and other similar large-scale merchant service providers also typically charge between 0.75% and 1.5%, although you will have to pay additional fees as well. Importantly, PayLane charges a very low fee for Amex, but you will have to sign up for an Amex merchant agreement and process fees separately through American Express in order to accept the card. While PayLane’s fee of 2.8% + 20p is high when compared to Stripe, it is significantly cheaper than PayPal’s starting rate of 3.6% for low-volume merchants. Another reason PayLane may increase your costs is that PayLane does not offer split rates. Many providers offer split rates for credit and debit cards, simply because debit card processing is cheaper. Where you may pay 0.75% or 20-40p per card transaction at some merchant account providers, PayLane charges the full 2.8%. So, if you process a great deal of debit cards, you are almost certainly better off choosing a solution with split rates for debit or a lower total transaction volume. PayLane does not charge a monthly fee, does not charge PCI compliance, and all other fees are included in the service. This means that for low-volume sellers, the high transaction fees may balance out against reduced account fees. It’s still important to do the math and to compare your total costs with other providers before you make a decision. 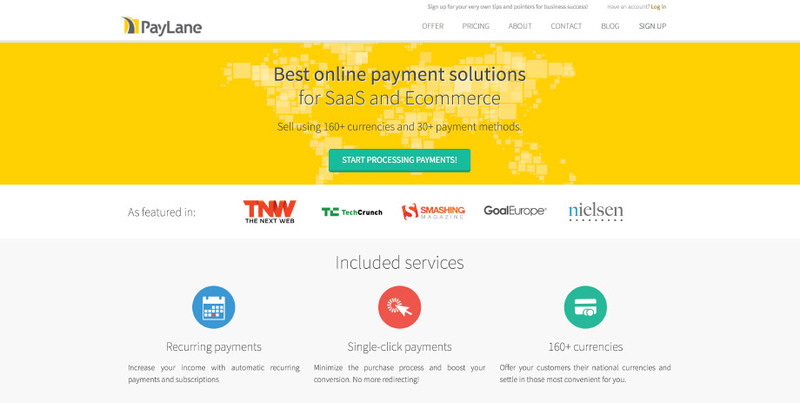 PayLane offers one service, an online payment gateway. This allows you to set up and start accepting payments through e-commerce sales, either via your own website, on an e-commerce platform, or using a shopping cart. The base service allows you to accept 160 currencies from 30+ payment schemes including all major cards and European bank transfer options. You can also configure your online payment solution with additional features and offerings. Single-Click Payments – PayLane allows customers to store card-data on your site for single-click checkout. Recurring Payments – Set up a customisable subscription or recurring payment offering to bill for services, offer monthly payments on large items, or create a monthly service solution. This is ideal for everything from paying rent online to paying bills as well. PayLane GO – PayLane GO is a free mobile app offering in-person sales via online app and redirect. This functions similarly to card-not-present/user-not-present transactions like with MOTO payments. MOTO Payments – Unlike competitors like Stripe, PayLane allows you to accept payments over the phone, inputting card-not-present/user-not-present transactions into your system. Mobile Payments – Accept payments on mobile phones or via an app with full development tools, mobile-friendly checkout, and full redirect solutions. Transaction Descriptors – Add transaction descriptions to every transaction (costs 5p per) to reduce the risk of chargebacks. 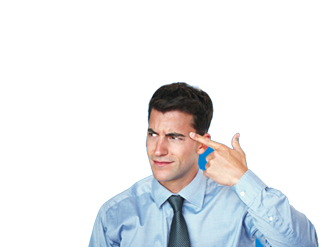 Payment Optimization – PayLane automatically requests new payments from failed transactions. Automatic Invoicing – Automatically create and distribute invoices with every transaction. Online Account Management – PayLane offers a merchant panel for online account management, transaction monitoring, chargeback dispute, and for managing settings and API. Integration – PayLane provides one-click integration for some of the world’s most popular shopping carts including Magento, Shopify, Zen Cart, Opencart, PrestaShop, and WordPress. PayLane offers a strong online payment processing solution, which stands out with plenty of developer tools, automatic integration, and no monthly fees. However, it faces stiff competition from other online payment gateway providers like Shopify and Stripe. PayLane advertises better services and customer support with everything geared towards small business. In practice, this is supposed to ensure that even low-volume merchants receive the same assistance and technical support, so that everyone has a good experience. This is a stark contrast to larger merchant account providers like Elavon and First Data who prioritise large business, but how well does it hold up in practice? The company actually has a relatively small user base, but most customers seem to be very happy. Customers flock to sites like TrustPilot and forums when unhappy, and PayLane doesn’t really have any negative reviews online. Of course, they don’t really have much online at all, but that’s usually because happy customers don’t always think about sharing their opinion online. PayLane also provides fast service, very good technical support, and individual assistance with account problems. The site also offers a large forum for resolving technical issues on your own, which makes it easier for small business owners to get help even when PayLane’s 9-5 customer support centre is not available. However, with no UK address (PayLane is located in Poland), and no phone support, many small business owners may want to steer clear. If you like having someone to call in case something goes wrong, PayLane simply does not provide a phone number, making phone support impossible. It is important to note that PayLane maintains their customer service centre in Poland. While all representatives speak English, you may experience some language barriers. This is a huge point against the company, because contacting customer support and getting quality service can be difficult. Some users report significant downtime for PayLane’s main site. While this is not a big risk, PayLane is not a large international company with servers in the UK. Therefore, if the site goes down, your payment processing will likely go down as well. While PayLane’s lack of a UK address and Polish support makes it easy to think that the site may be a scam, PayLane is a genuine company, registered to do business, and licensed for financial transactions in the UK. PayLane does not have a minimum monthly contract length or term. This is very advantageous for small and startup businesses, because you can start using the service with no commitment other than your time and initial fees. With no startup fee, no monthly fee, and no termination, fee, the only thing you have to worry about are transaction fees. However, most similar companies like Stripe and PayPal offer the same monthly contract offering, with no startup or termination fees. So, PayLane doesn’t really stand out for this offering, unless you’re comparing the company to a traditional merchant account provider like Elavon or First Data. PayLane is just one of numerous online payment gateway providers. However, as the only option with no office in the UK, higher rates than most competitors, and no phone support, the company is at a significant disadvantage when compared to most companies. For example, PayLane compares to Stripe and Elavon fairly poorly, and only really makes sense when compared directly to a larger provider like Global Payments or Elavon. Stripe is PayLane’s closest competitor in terms of services and offerings, but with significantly lower charges, UK-based customer support, and a phone line, looks a lot better for most small businesses. Other options like PayPal don’t compare as well because of higher fees, while traditional merchant accounts like Elavon and Global Payments are more difficult to compare directly, simply because they use a different pricing structure. PayLane’s strongest offering is their support for online bank transfers with German, French, Dutch, and Polish solutions supported. Therefore, the company is an ideal fit for e-commerce stores operating throughout the EU, especially those based in Poland and surrounding countries, which would enable you to access local customer support. For example, few online payment solutions offer support for mBank and SoFort, and fewer offer support for Polish bank transfer alongside French, German, and Dutch banking and card payment solutions. So, PayLane actually stands out with their support for eurozone payment options and if you need those payment solutions, are likely one of the only international providers that will offer the services to you. PayLane also provides quality developer tools, an in-depth forum, and plenty of email support, ideal for startups who have a minimal budget but a development team on board to integrate the gateway. At face-value, PayLane offers a strong online payment gateway service, with plenty of customisation and development features. However, with no UK-based office and no call centre, many UK users will become disgruntled with customer support. You may also run into issues with language barriers, as PayLane consistently responds in broken English and Polish on social media. You’ll also find that there are cheaper online payment gateway solutions for small business, all of which offer UK-based support. Stripe charges 1.4% less per European payment, similar fees, offers a UK-based call centre, and similar payment support, minus many of the Polish brands. Therefore, chances are, you’re better off choosing a PayLane alternative, unless you specifically need some of the company’s payment schemes, or want to use the company for another very specific reason such as your home-base being in Poland. PayLane does provide a quality online payment solution, but with higher rates than competitors and no UK call centre (or call centre period), there are too many hang-ups for most businesses to bother.